Get a Free $10.00 Prepaid Load Card when you turn in $50 worth of used IT&E Mobile Prepaid Cards at any IT&E location or participating mom-and-pop stores. Where can I receive my FREE $10 Wireless Prepaid Card? Can I receive cash or in-store credit instead of the FREE $10 Wireless Prepaid Card? No, customers can only receive the FREE $10 IT&E Mobile Prepaid Card. Can I use my $5 load voucher receipt from the IT&E online store to redeem the FREE $10 Mobile Prepaid Card? No. 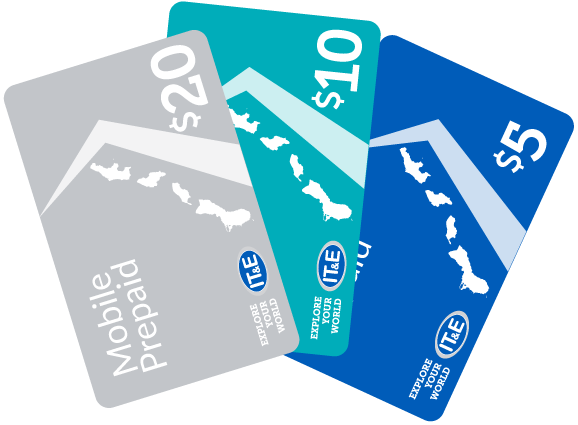 Purchases from the IT&E online store cannot be used to redeem the FREE $10 Mobile Prepaid Card. After receiving my FREE $10 Wireless Prepaid Card, can I turn it in again to get another FREE $10 Wireless Prepaid Card? No, the Free $10 Wireless Prepaid Card cannot be used for additional redemptions. Is there a limit to how many FREE $10 prepaid cards I can receive? Yes, customers may only receive one (1) FREE $10 Wireless Prepaid Card per week. Is any IT&E Prepaid Wireless Card accepted for this loyalty program? Only IT&E Motion Wireless Prepaid Cards are accepted. What if my IT&E Prepaid Wireless Cards are not in good condition? Will I still be able to receive the FREE $10 Wireless Prepaid Card? No, you will not be allowed to use any damaged IT&E Prepaid Mobile Cards to receive the FREE $10 Mobile Prepaid Card. Service Associates will determine if your IT&E Prepaid Mobile cards are in good condition upon turning them in. You can call our IT&E Customer Care Center at 671-922-4483 for any additional questions you might have.